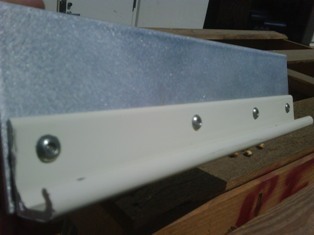 I love the invention of Pop Rivets aka blind rivets. 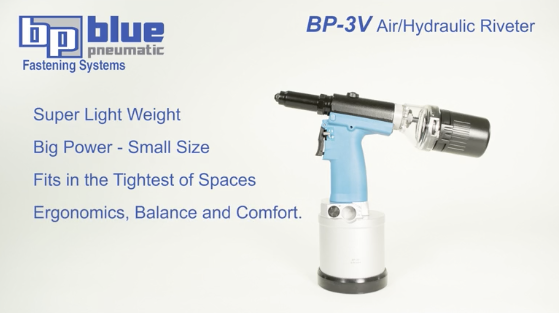 They can provide superior fastening solutions. This orlock rivet has taken some great features from the Pop brand of “blind rivet” and done something new and innovative. This rivet, which is called and Orlock blind rivet, has a back side flange. Notice how it forms a washer-like flange on the back, providing a large “footprint” on the blind side of the workpiece. 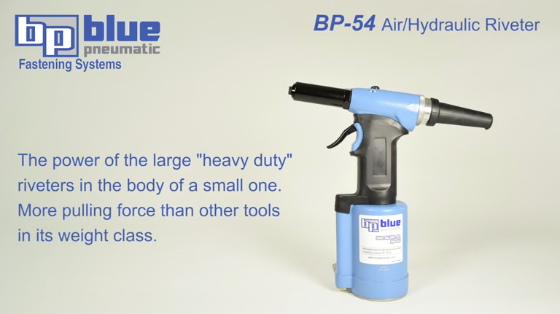 Revolutionary idea because distributes the clamping load of the rivet over a wider surface area, like a nut and bolt can. All this, even if you can’t see or reach the blind side to put the nut on. Cool. 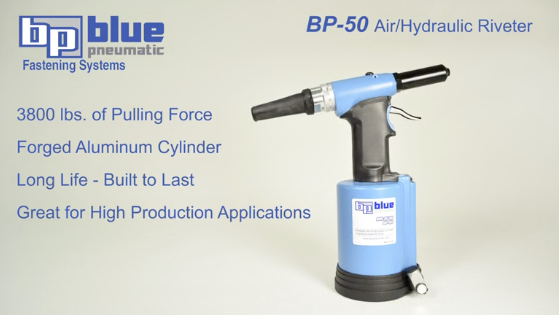 Why Blue Pneumatic will make a difference: The story continues . 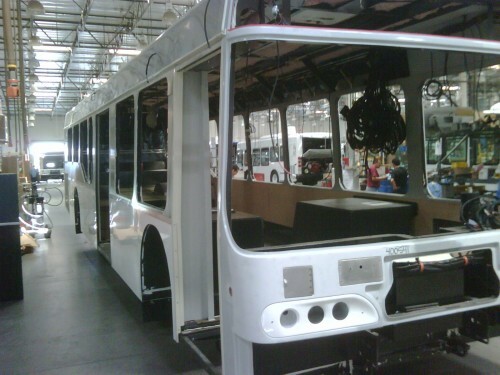 . .
a reputable, internationally know, Bus manufacturer who had major leaking in the “drip rail” of the bus. 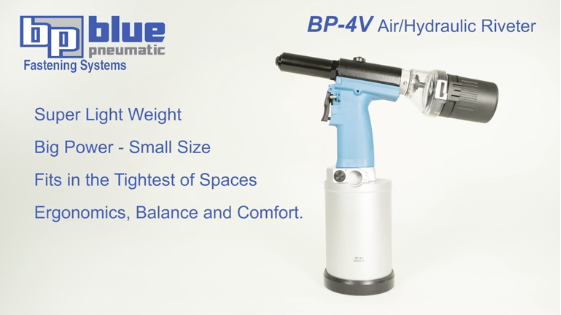 Let me show you how we approached and solved the rivet problem. By the way, the problem started because the customer was using inferior, multi-grip ( Avex sylyle rivets) in this application. 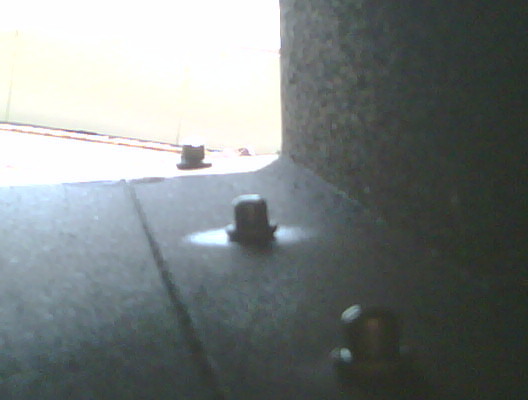 A good rivet but incorrectly applied. Transit Bus on assembly line. 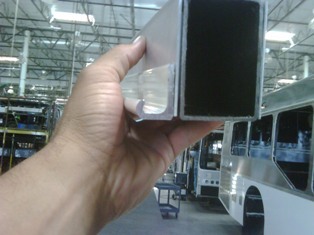 Rain gutter riveted to frame of the Bus. 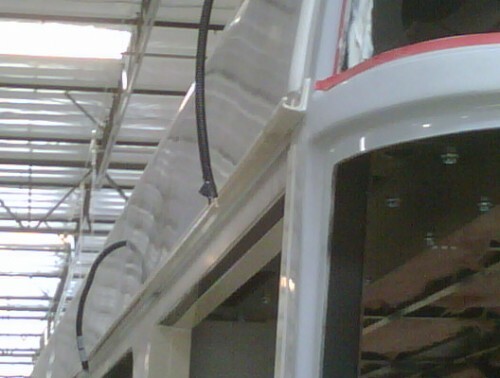 Mock up of “rain gutter” aka “drip rail” removed from Bus. 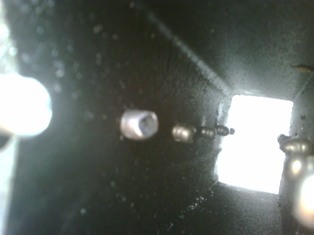 Positively retained pin can be visually inspected from outside the workpiece! In short, this excerpt in an engineering summary. I invite you to share your stories relating engineering challenges that you may be facing, or are facing now! The SL-3 offers the same features as the SL-2. 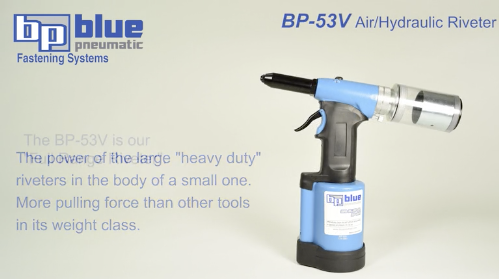 This rivet tool is designed with a one inch stroke and sets multi-grip and structural rivets in a single stroke. This riveter has 3800 lbs. of pulling force. Comes complete with 1/8 thru 1/4 nose tips. SuperLight™ tools boast a super durable and light composite body and rugged rubber base.